Within all Indigenous Nations there is a cultural, traditional, and spiritual connection to the earth. The significance of the earth is a testimony to the survival of language; traditional stories, teachings and practices; and the different cultural expressions. The land and its people are directly interdependent of each other, and this belief holds true to my Dine' (Navajo) traditional/cultural way of life. By being in alignment with nature, we remain in balance and harmony with our environment. It is also how we retain the communication and secure our place in the natural universe. The motivation behind creating this body of work is to honor this respect and significance of the earth. 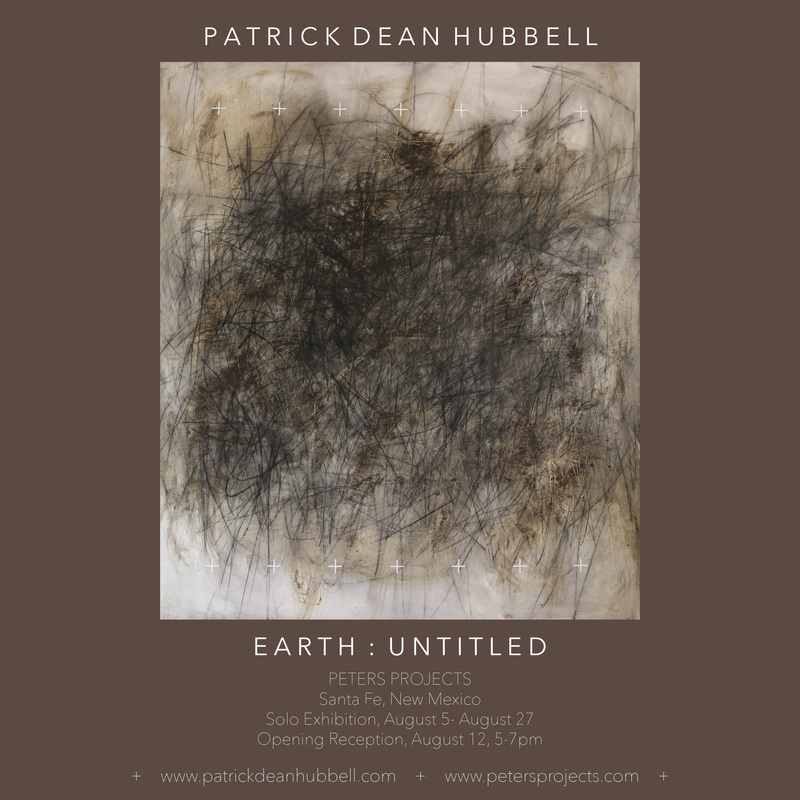 Earth: Untitled is a new series of work that explores this relationship of the natural earth and how we occupy it in our daily walk of life. The investigation of this relationship utilizes the natural earth pigments found within the Navajo Nation Boundaries of the Southwest United States, (primarily Arizona, New Mexico, and Utah). The various colors and hues of the natural earth pigment samples of the canyons, rocks, dirt, and sand were gathered upon traveling to different areas of the Navajo Nation. The process of making an oil paint medium from these pigments created a catalyst that allowed the work to go from earth to canvas. Through the use of the inspiration of nature such as wind, air, vegetation, landscape, and different times of day, the depiction of how we relate to the natural world is achieved. 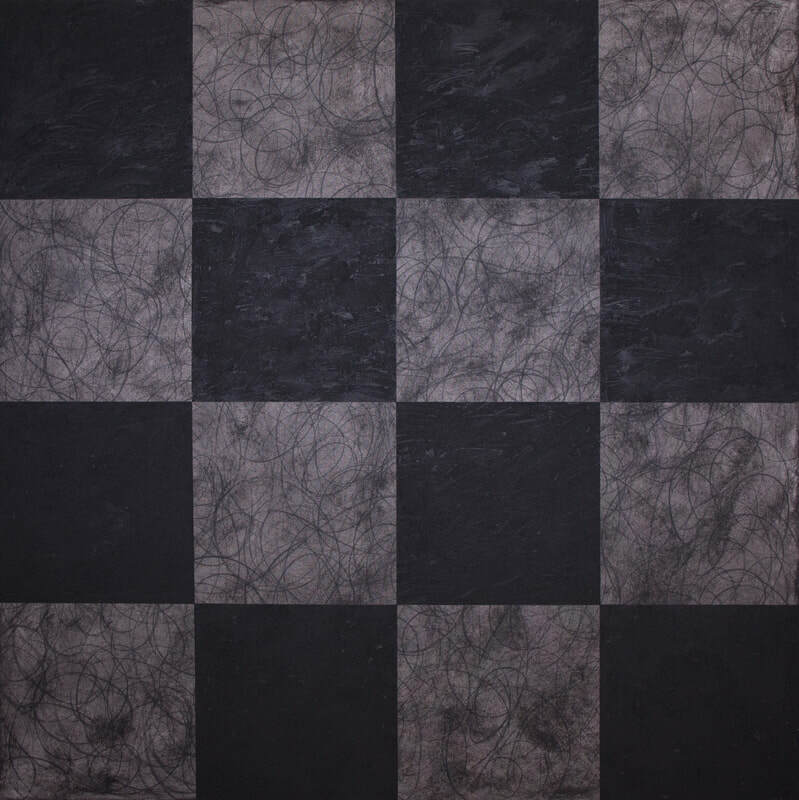 The gestural mark making and organic character of the paint is combined with design qualities within the work that make the connection from the natural environment to the the human influence. The location sites chosen for this project are locations throughout the Navajo Nation are significant to my homeland where I was raised (Near Navajo, NM), my wife and daughter's homeland (Near Pinon, AZ), several points from around the Navajo Nation, and also personally unexplored areas of the Navajo Nation. The collection of earth samples are a combination of personal experience of my individual identity to the land and also diversity of the richness of the color of the earth that is home to the Dine' (Navajo) People. 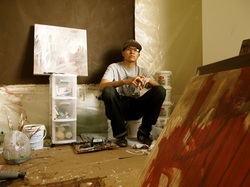 This development of this body of work makes a correlation to the process of traditional Dine' (Navajo) ceremonial sand painting by using this process as inspiration and making the connection to my personal background of contemporary painting. An installation of a contemporary sand painting (***No Navajo traditional/ ceremonial significance) will accompany the paintings by being placed on the floor of the gallery, and will tie all the pieces together to one center point. This sand painting will then be gathered and given back to the earth at the conclusion of the exhibition. 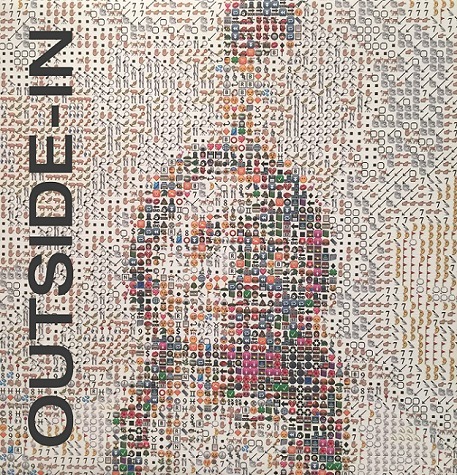 Peters Projects is pleased to present Outside-In, a year-long thematic program of site-specific and installation art as well as historically significant works inspired by dialogues between land and culture and Native American influences on 20th and 21st century art. Also featured in the program will be a series of public talks with invited keynote speakers. In addition to the main exhibit space are several, smaller adjoining galleries which will feature an emphasis on the latest in global decorative arts, indigenous art, design, installation art, digital and new media on a curated, rotating basis. 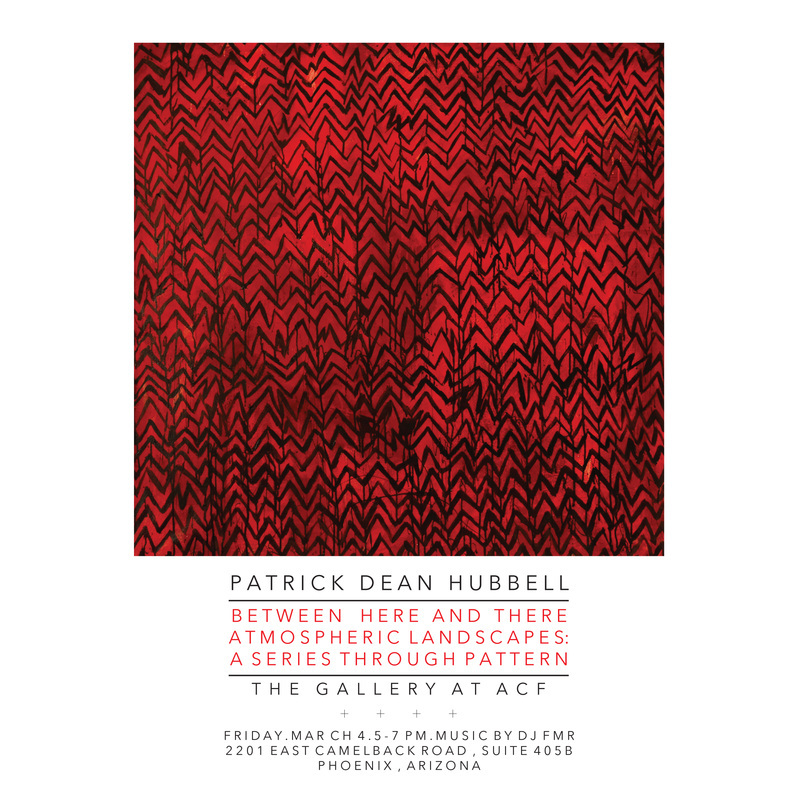 Please visit art talk.us to read the latest interview from January 2016 with PATRICK DEAN HUBBELL and ART TALK SANTA FE!